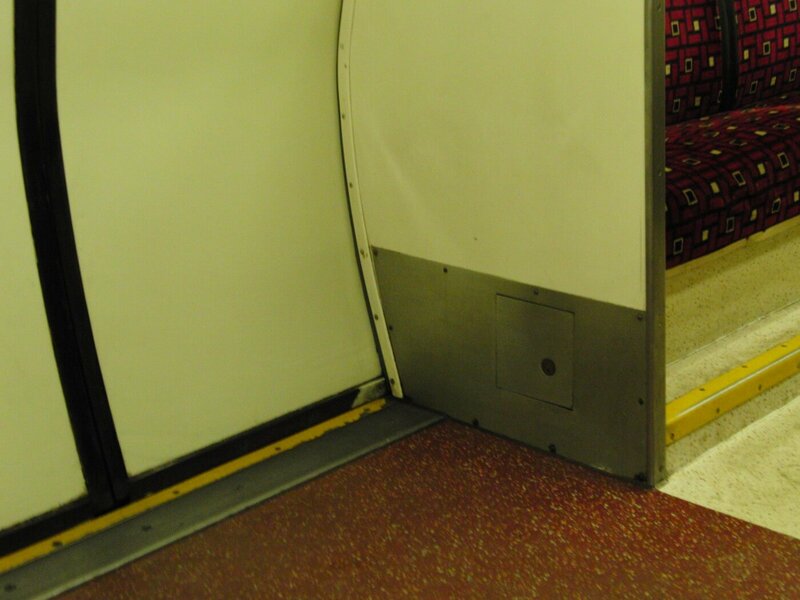 I have to recount a strange experience I had on the Glasgow Subway recently. It involved a man having an epileptic fit while travelling on the train. The story starts with a simple journey from town to the south side. As the train stopped at St Enoch two men boarded and sat down directly opposite me. One of the men was elderly and obviously had some form of disability while the other man looked to be his carer. The train was not busy but there were a few assorted people scattered throughout the carriage. As the train trundled through the tunnel the elderly man seemed to glaze over. From looking around to see who was about to suddenly staring upwards. His eyes looked almost disconnected from the real world. Then the shaking started. It was all quite sudden. The initial tremors quickly changed in to a full body shake and slowly the man began to slide down the seat on to the floor. Within a few seconds he was lying in the dirty footwell of the carriage, his body contorted and troubled by the spasm’s that engulfed him. I have to admit that my reaction was not one I am necessarily proud of but one that I think many of us would do in the same situation. Once the initial shock and realisation of what was happening had disipated I did the usual trick of sliding my backside down the bench seats to get away from the action unfolding in front of me. Now I have to concede that I know absolutely nothing about epilepsy. Thankfully none of my extended family suffers from the affliction and I can honestly say that I do not know a single person that does. There is a vague memory that someone once told me that the best thing to do is simply stay clear of the sufferer and let nature take it’s course but in truth my reaction was one of confused uncertainty rather than concious deliberation. The other passengers seemed to experience a similar reaction and there was a general turning of heads and low level muttering. Something was happening that was unusual and everyone’s attention now focussed on it. Thankfully the carer who had boarded with the elderly man now took over. He got up and stood over the man with his legs either side of him, each leg acting as a barrier between the seizure stricken victim and the hard boards that the seats are built on top of. The man on the ground made a grab for one of the carer’s legs and wrapped himself around it. I can only describe it as being similar to watching someone cling on to a rope at the top of some great cliff, holding on for dear life. This act seemed to calm the man having the fit. Gradually the seizures started to subside and we could all see some form of conciousness return. Various people at this point offered their help, myself included. Credit goes to the little old lady who was the first to speak up and offer help, despite the fact she was the least able to offer it. There was no scorn from the other passengers, just a general level of obvious sympathy and willingness to help. The next part was probably the strangest. Once the shaking had gone, the carer hauled the man up and managed to get him back up on to the seat. He was obviously shaken and disorientated. In a loud tone of voice and with the kind of authority that made everyone jump the carer then proceeded to shout “YOUR HAVING A FIT, DO YOU UNDERSTAND” at the man repeatedly. I suppose to someone who has never witnessed a person having a seizure this was quite shocking but the moment the sufferer realised and nodded it seemed to bring him back to the real world. Once the second shock of the shouting had died down I have to say that everyone nearby on the train offered their help once again. The carer explained that he had it under control but every single person seemed to be genuinely willing to help. Well done Glasgow. The one thing that struck me as I left the train at my station was that I was completely unprepared for what had just happened. We were all lucky that the carer was present and knew exactly what to do. Otherwise the outcome may have been very different. I made a decision to go and find out more about epilepsy and even though the chances of this happening again are slim I think it would be a good thing if more of us were aware of what we can do to help. Links below. I am an aspiring writer and regular contributor to Glasgow Subway Stories. These days I live in Edinburgh but I spent most of my adult life getting to work on the tube. Have seen many a sight during that time.